Let me tell you about a little theater in Omaha that’s one of my favorites. I can’t quite place my finger on when exactly I became a devotee to the Bluebarn Theatre. Sometime early in my theater reviewing career, I’d seen a show or two at the small theater in the Old Market and realized this wasn’t your typical theater. The shows were different. In a good way. And I’m not exaggerating when I say you’ll see the best actors in Omaha on the stage of the Bluebarn. Bluebarn’s shows usually are new to Omaha, or at least new to me. I usually agree to go to a Bluebarn show without even knowing what it’s about because of that. I trust what they’ll stage will either make me think or make me laugh. Either way, I know I’ll be entertained. They recently celebrated their 25th anniversary. Big things are coming, too! They’ll break ground on a new theater this summer. It’s an exciting time for Bluebarn fans. Disclosure: My sister-in-law works at the theater. I’m not just professing my love for the theater so that I can secure a good babysitter for life, I really do mean what I write about the Bluebarn. 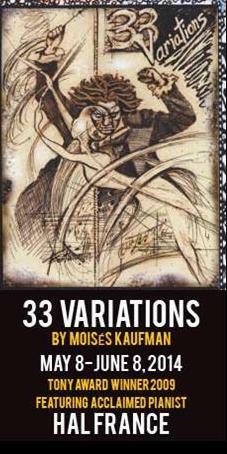 Bluebarn Theatre’s next production is “33 Variations” by Moisés Kaufman. They show runs May 8 through June 8, and will feature acclaimed pianist Hal France. Here’s a synopsis: A mother coming to terms with her daughter. A composer coming to terms with his genius. Drama, memory and music combine to transport you from present-day New York to 19th-century Austria, in this extraordinary new American play about passion, parenthood and the moments of beauty that can transform a life. “33 Variations” is an elegant waltz between past and present, fact and speculation, a mother and daughter, art and life. Sound like something you want to see? I’m giving away two (2) tickets to see Bluebarn Theatre’s “33 Variation” on its opening weekend – your choice, May 8-10. Giveaway ends at 11:59 p.m. on May 4. A random winner will be selected by Rafflecopter, and I will contact that winner with details on retrieving the tickets. Total value of the tickets is $50. I want to thank the sponsors who are making Oh My! 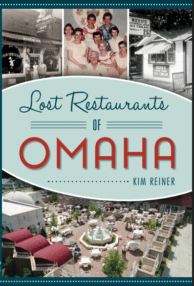 Omaha’s birthday celebration so awesome, especially the Bluebarn Theatre for providing tickets for today’s giveaway! 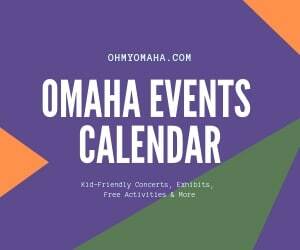 Other great sponsors are Omaha Symphony, The Rose, Omaha Performing Arts, Omaha Children’s Museum, Vino Van Gogh, and the Strategic Air & Space Museum.